What Brexit means for PR pros in the U.K. and the E.U. ; Holding company chiefs agree to support U.N. initiative; Clinton rolls out first Spanish-language TV ad; Volkswagen close to massive reimbursement deal for diesel-car owners. The U.K. voted on Thursday to break off from the European Union, sending global markets diving and creating uncertainty about the future of the E.U. British Prime Minister David Cameron said he will resign by October. U.S. stock futures were down big early Friday morning. Scotland’s first minister says another independence referendum for her constituents is very likely. Reuters: From beer to drugs to cars, global business laments E.U. vote. PR pros based in the E.U. see a short-term boost for public affairs, and predict Dublin could become the new London as a launchpad for non-U.K. companies looking to gain entry to the European market. 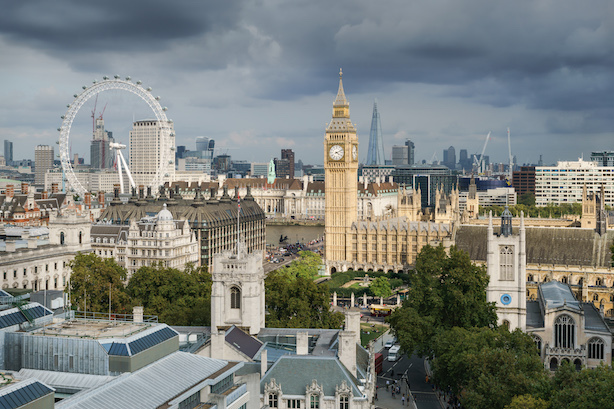 U.K. communications pros, who were largely for remaining in Europe, say public affairs work will be crucial in the months ahead, but are ready for a bumpy ride. Financial sector leaders have weighed in on the referendum in memos to employees. (So did Lindsay Lohan on Twitter). JPMorgan Chase CEO Jamie Dimon tried to calm employees’ fears, while the chief of Barclays said the vote won't change his strategy. Fortune: The blue-chip companies that should be terrified of Brexit. The big six holding companies — WPP, Omnicom, Publicis, Interpublic, Dentsu, and Havas — are pitching in to help the United Nations’ Sustainable Development Goals initiative. Secretary General Ban Ki-moon launched the partnership, known as the Common Ground Initiative, in Cannes on Friday morning with the CEOs of the major holding companies. Hillary Clinton is debuting her first Spanish-language ad of the 2016 general election. The spot, called Our History, will air on TV during the Copa America final between Argentina and Chile on Sunday. Former rival Bernie Sanders said Friday morning that he will vote for Clinton in the general election. Volkswagen is close to a deal that would require it to pay U.S. diesel car owners more than $10 billion in compensation, months after it admitted using "defeat devices" to avoid emissions regulations. Owners could receive an average of $5,000 in compensation along with the estimated value of their vehicle before the scandal began, according to Reuters.